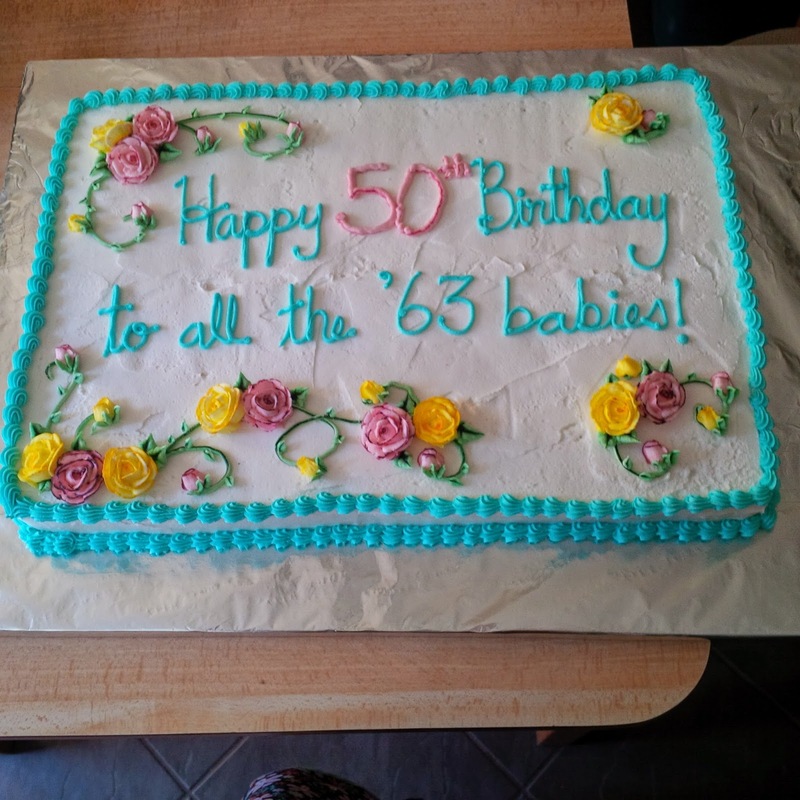 This cake was made to celebrate many Happy Birthdays. Size: This cake was made out of two 9x13 pans placed side by side. Taste: The flavour was half chocolate and half vanilla. Filling: This cake was filled with white buttercream icing and chocolate pudding.